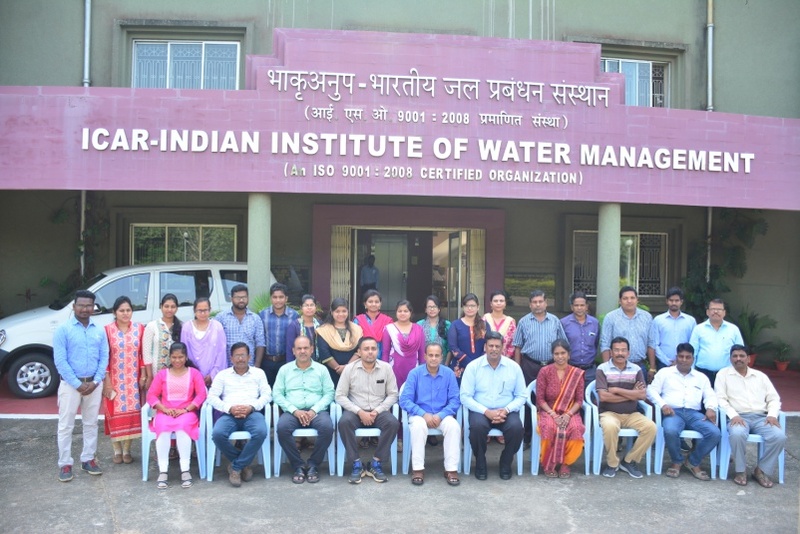 The FIFTH BATCH of the 6-day training programme on "Watershed management and land use planning" for 25 officials of different districts of West Bengal was successfully completed at ICAR-IIWM, Bhubaneswar during 22nd September to 29th September, 2018. 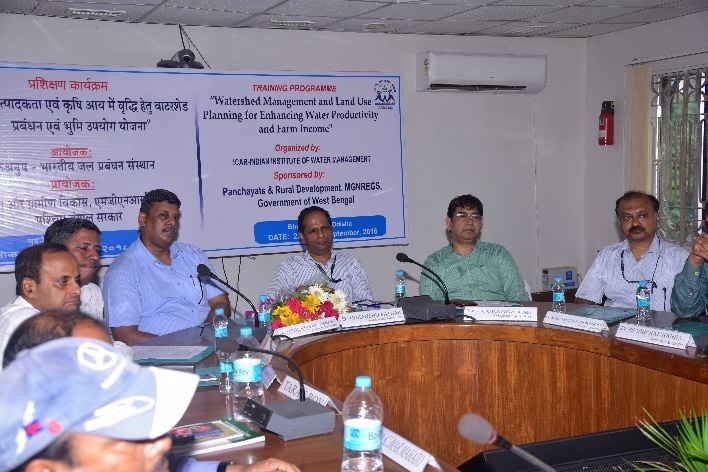 The Training was sponsored by Department of Panchayat and Rural development, Government of West Bengal. 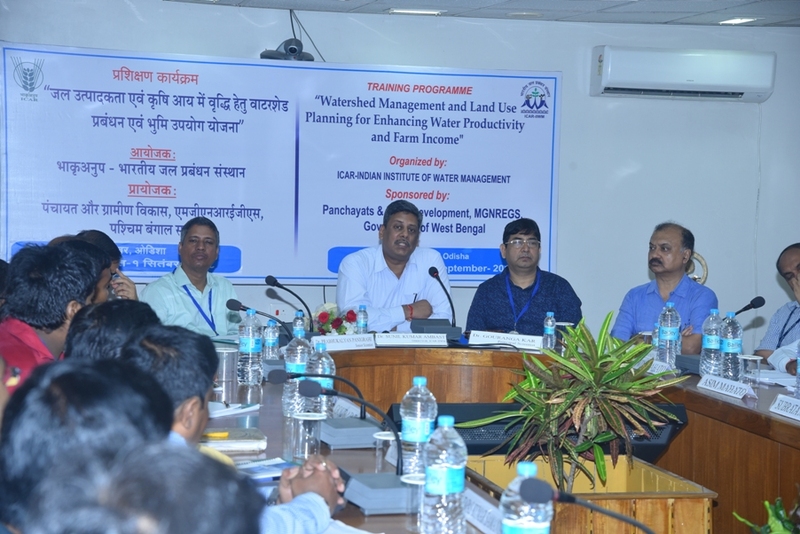 In the training vivid discussion was made on different aspects of soil and water conservation and management on watershed basis which includes watershed delineation, site selection and design of farm pond, check dam, dug well, contour bund, contour trenching, gully control structure, micro-catchment, use of software tool for computing water requirements, value addition by remote sensing and GIS for watershed management and land use planning, intercropping based horticulture, agroforestry, soil sustainability, farm mechanization, pond based farming, land shaping technique, community mobilization, impact assessment, costing and estimation of water harvesting structures etc, The team also visited Orilo watershed, Cuttack and horticultural plantation programme of ICAR-CHES and Puri project site and visualized the actual field implementation. 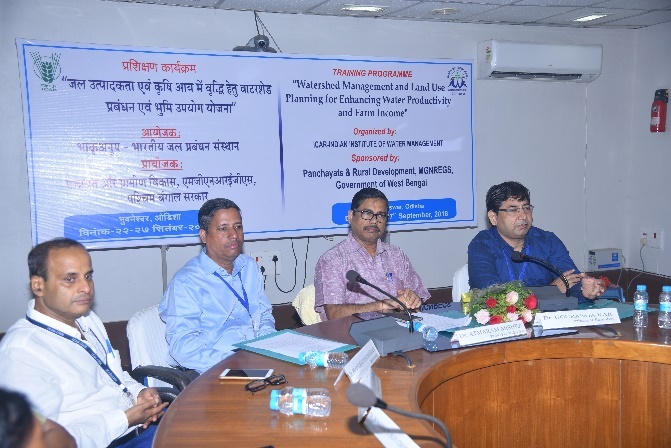 Dr. Himanshu Pathak, Director, ICAR-NRRI, Cuttack was the chief guest in the valedictory function of the training programme and distributed certificates for participants. 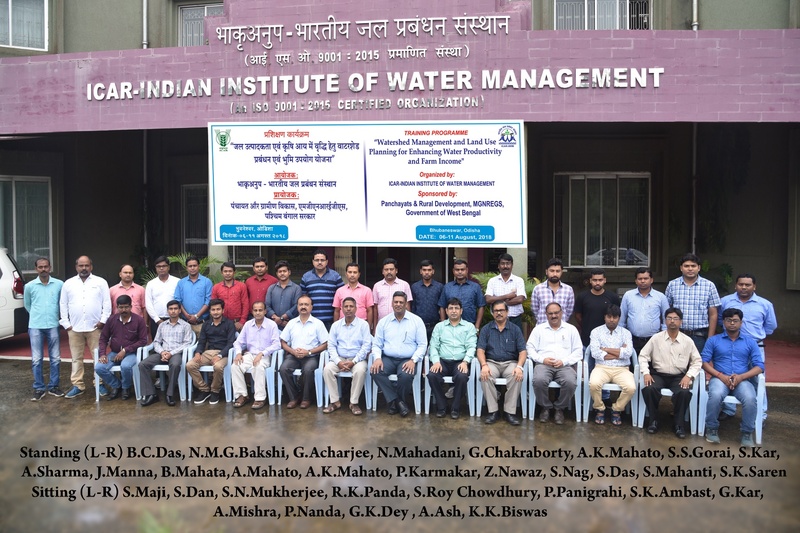 Besides, a best participant award was also given to a candidate based on the overall performance in a written test, class assignment and interaction with faculties. 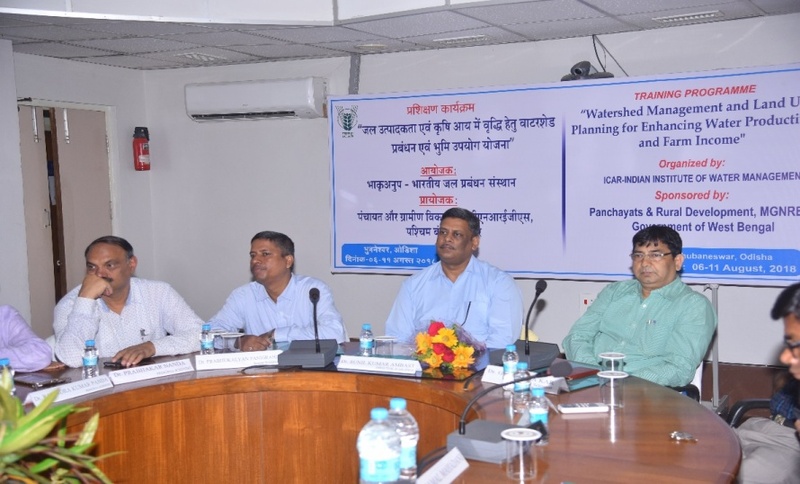 In his valedictory address, Dr Pathak stressed the role of water management in rainfed areas. 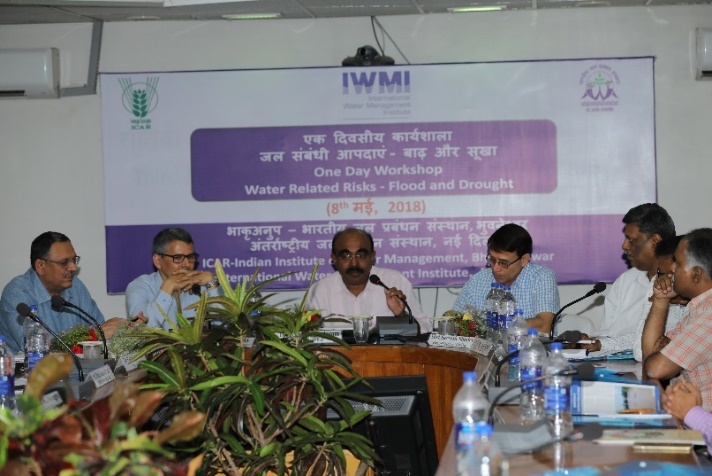 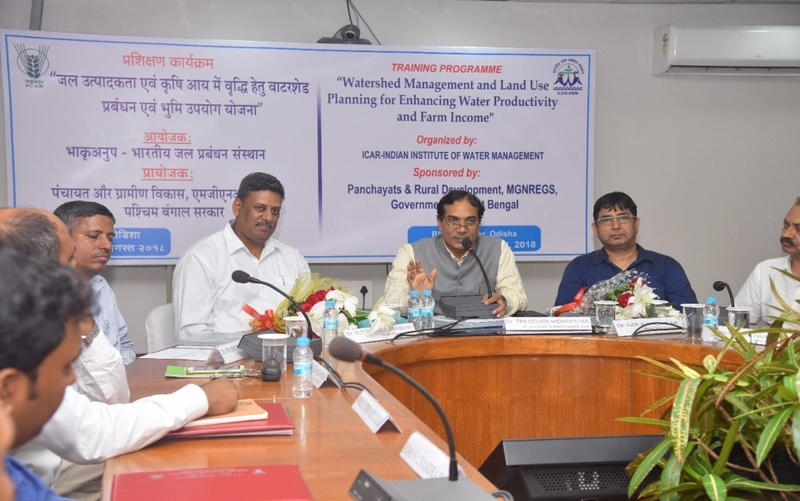 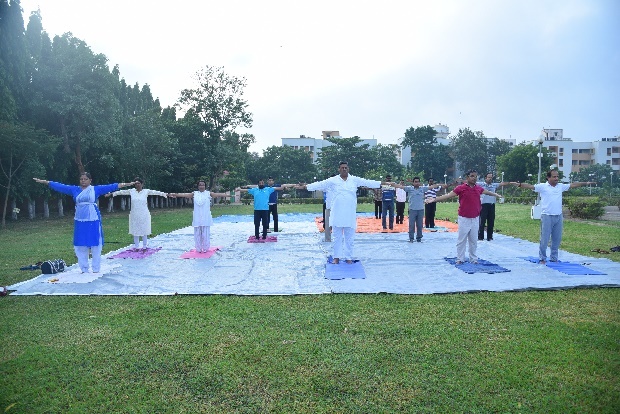 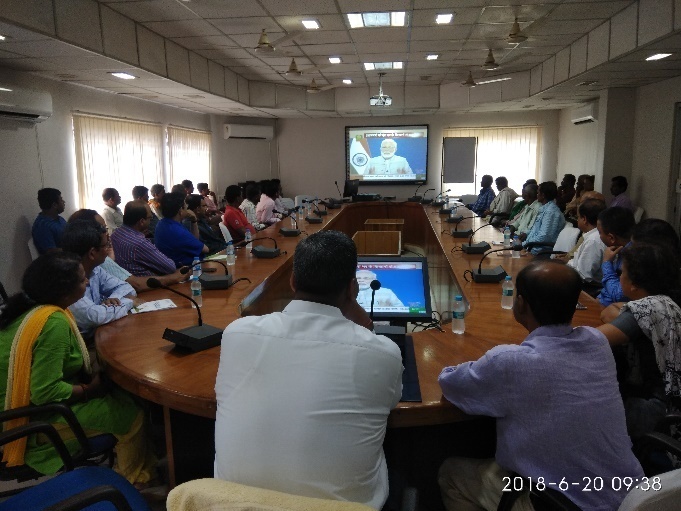 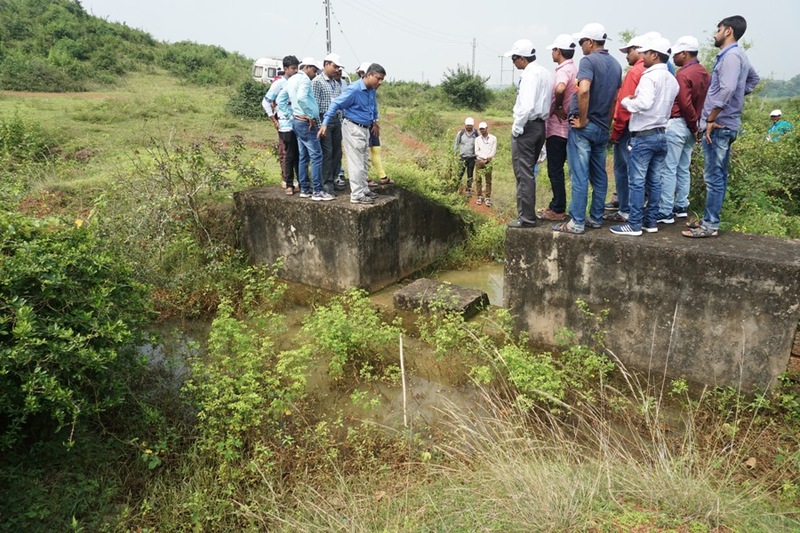 He also appreciated to conduct training on watershed management and land use planning for field functionaries of western part of West Bengal where drought is a recurring phenomenon. 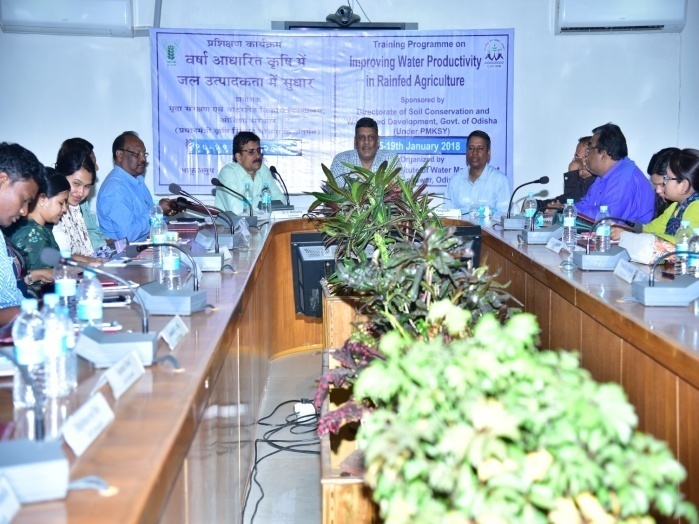 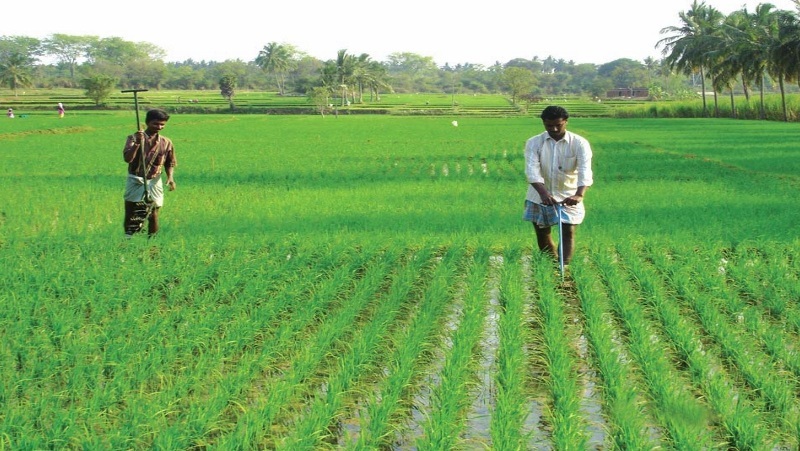 He stated that output of training will be very much helpful for the farmers of those regions to enhance their income after implementation of the technology. 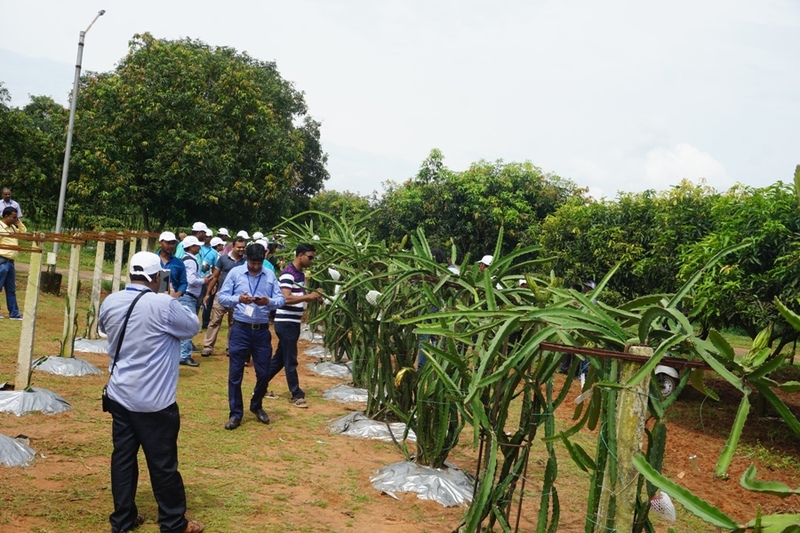 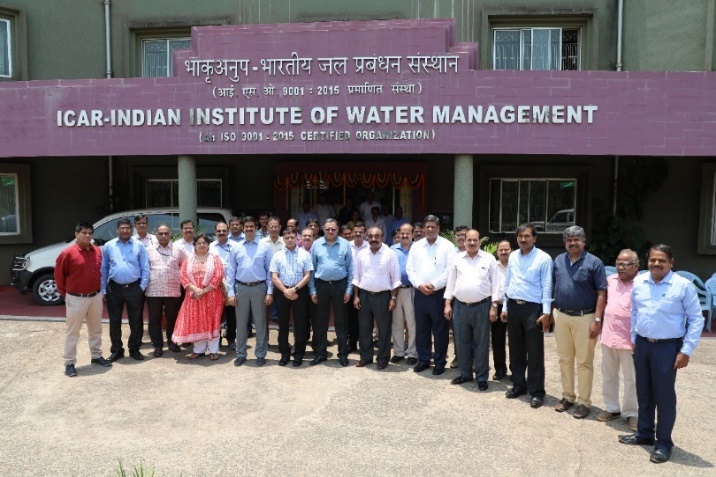 Dr S.K.Ambast, Director, ICAR-IIWM, Bhubaneswar was the course Director and Dr Gouranga Kar, Principal Scientist and Dr P.Panigrahi, Senior Scientist of the institute were the Course Coordinator. 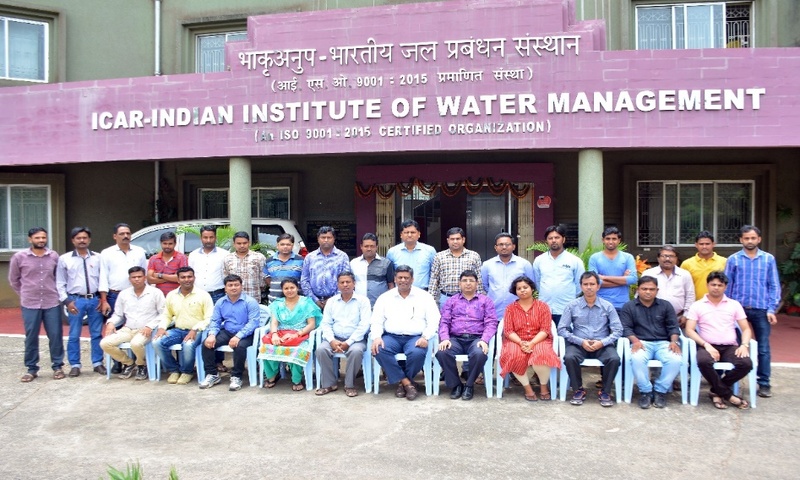 The FOURTH BATCH of the 6-day training programme on "Watershed management and land use planning" for 25 officials of different districts of West Bengal was successfully completed at ICAR-IIWM, Bhubaneswar during 10th September to 15th September, 2018. 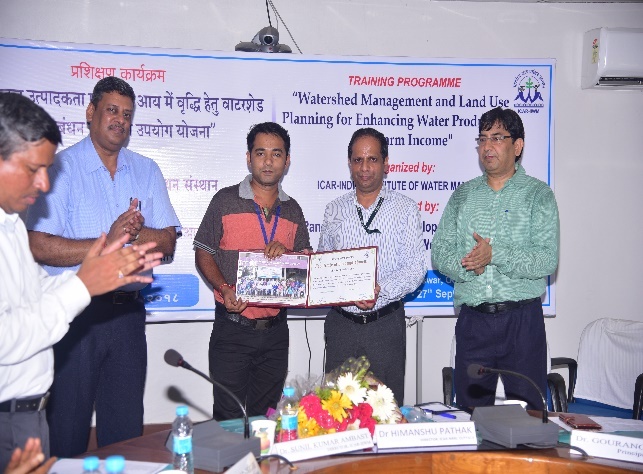 The Training was sponsored by Department of Panchayat and Rural development, Government of West Bengal. 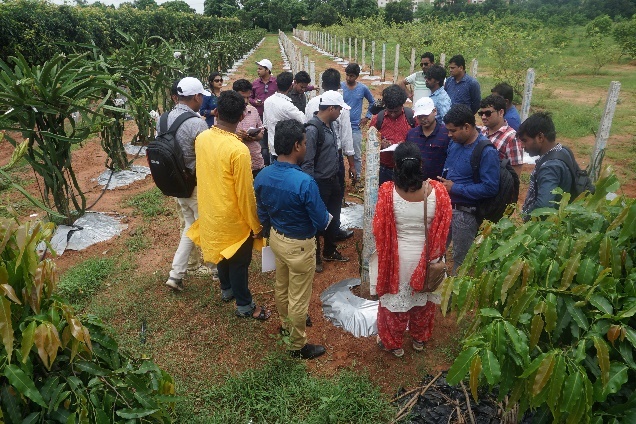 In the training vivid discussion was made on different aspects of soil and water conservation and management on watershed basis which includes watershed delineation, site selection and design of farm pond, check dam, dug well, contour bund, contour trenching, gully control structure, micro-catchment, use of software tool for computing water requirements, value addition by remote sensing and GIS for watershed management and land use planning, intercropping based horticulture, agroforestry, soil sustainability, farm mechanization, pond based farming, land shaping technique, community mobilization, impact assessment, costing and estimation of water harvesting structures etc, The team also visited Orilo watershed, Cuttack and horticultural plantation programme of ICAR-CHES and Puri project site and visualized the actual field implementation. 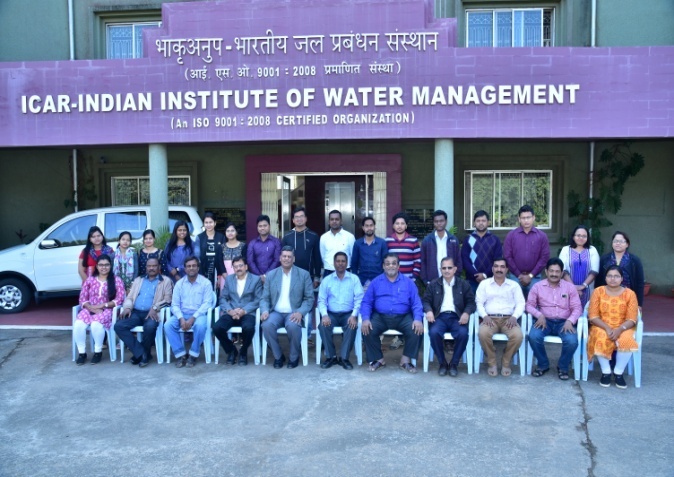 Dr. U.C.Mohanty, Former professor, IIT, Delhi and visiting professor, IIT, Bhubaneswar was the chief guest in the valedictory function of the training programme and distributed certificates for participants. 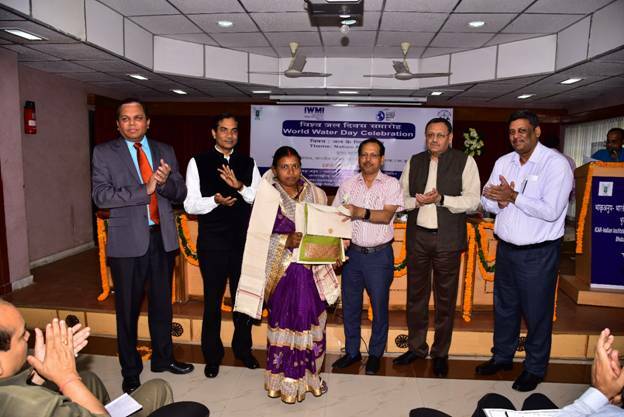 Besides, a best participant award was also given to a candidate based on the overall performance in a written test, class assignment and interaction with faculties. 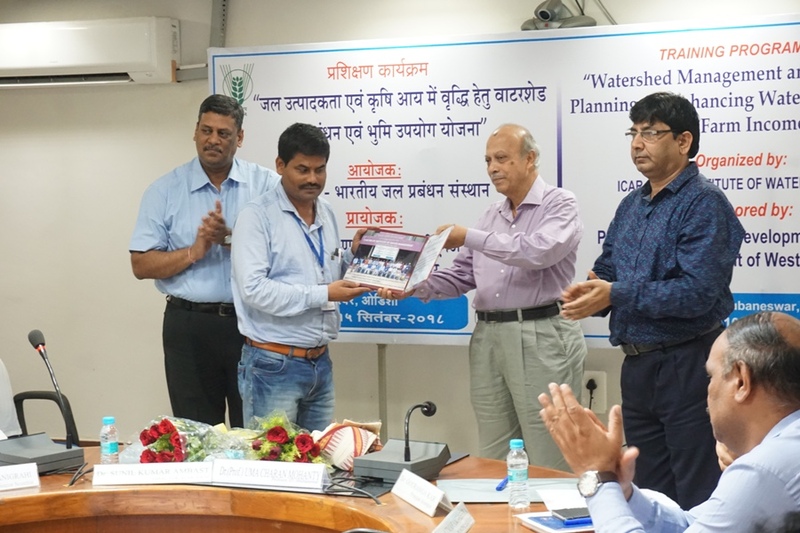 In his valedictory address, Dr Mohanty emphasized the role of simple and cost-effective technologies to solve farmer's problems and urged the participants to apply those in the field to increase the farmer's income. 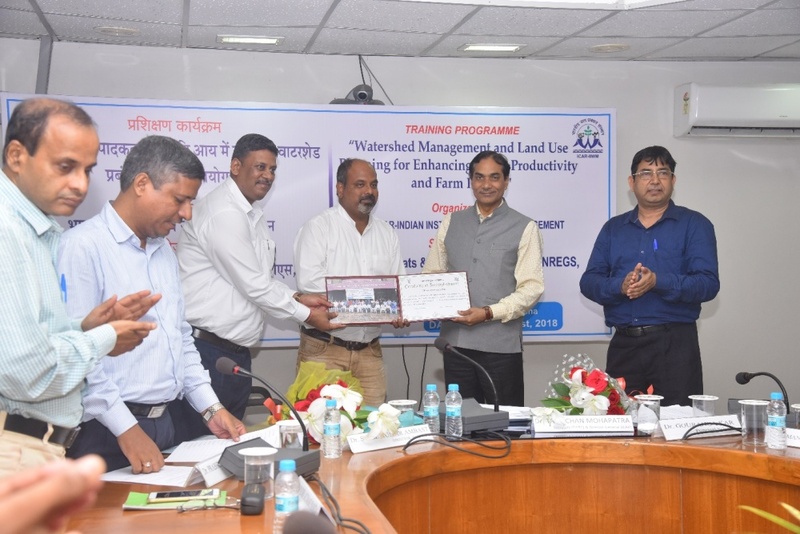 He also appreciated to conduct training on watershed management and land use planning for field functionaries which will be helpful to manage natural recourses of the country efficiently. 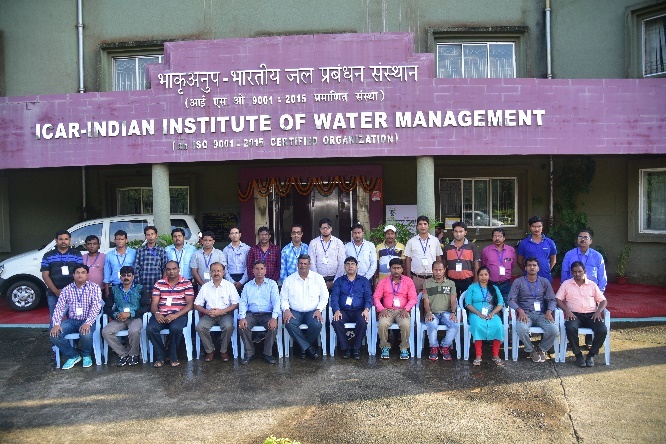 The THIRD BATCH of the 6-day training programme on "Watershed management and land use planning" for 25 officials of different districts of West Bengal was successfully completed at ICAR-IIWM, Bhubaneswar during 27th August to 1st September, 2018. 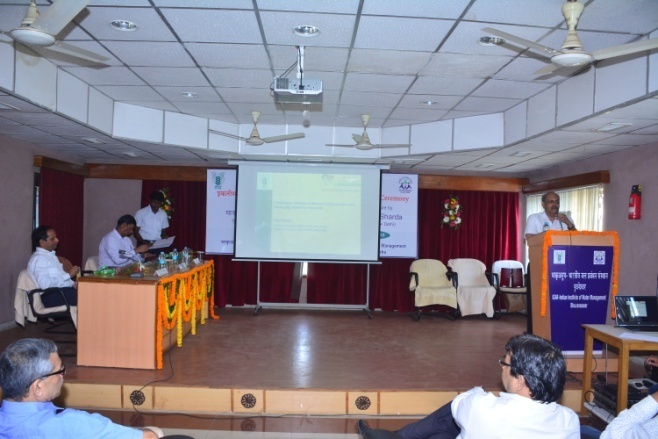 The Training was sponsored by Department of Panchayat and Rural development, Government of West Bengal. 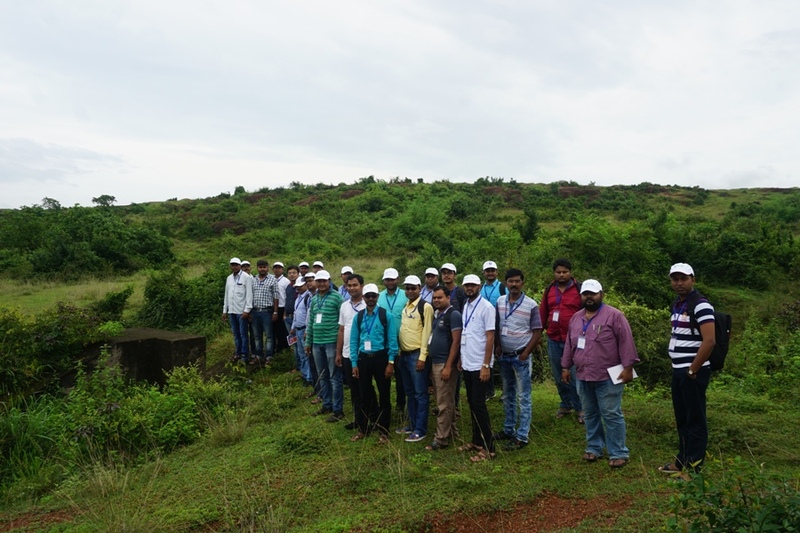 In the training vivid discussion was made on different aspects of soil and water conservation and management on watershed basis which includes watershed delineation, site selection and design of farm pond, check dam, dug well, contour bund, contour trenching, gully control structure, micro-catchment, use of software tool for computing water requirements, value addition by remote sensing and GIS for watershed management and land use planning, intercropping based horticulture, agroforestry,soil sustainability, farm mechanization, pond based farming, land shaping technique, community mobilization, impact assessment, costing and estimation of water harvesting structures etc, The team also visited Orilo watershed, Cuttack and horticultural plantation programme of ICAR-CHES and Puri project site and visualized the actual field implementation. 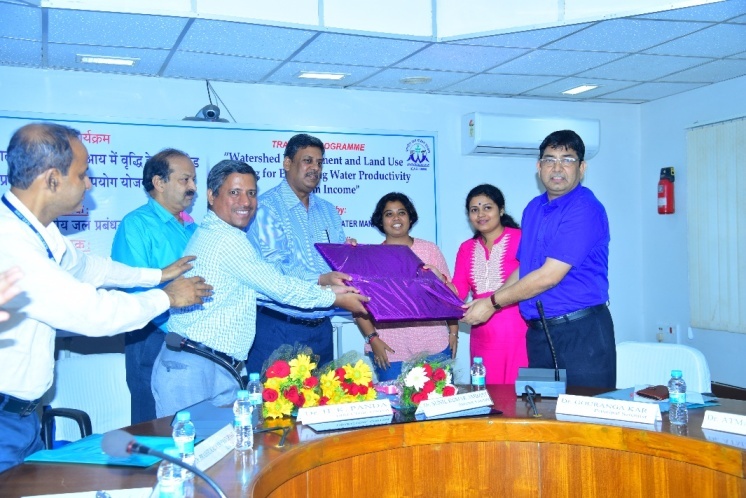 Dr. S.K.Srivastava, Director, ICAR-Central Institute for Women in Agriculture, Bhubaneswar was the chief guest in the valedictory function of the training programme and distributed certificates for participants. 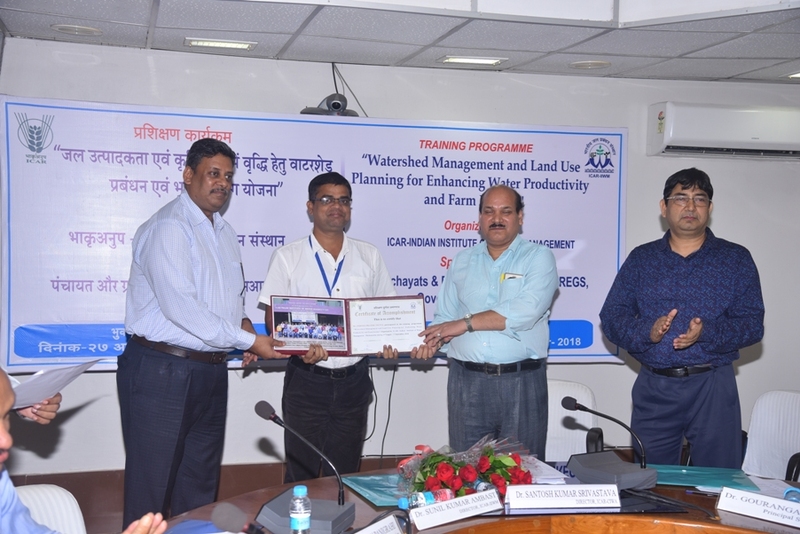 Besides, a best participant award was also given to a candidate based on the overall performance in a written test, class assignment and interaction with faculties. 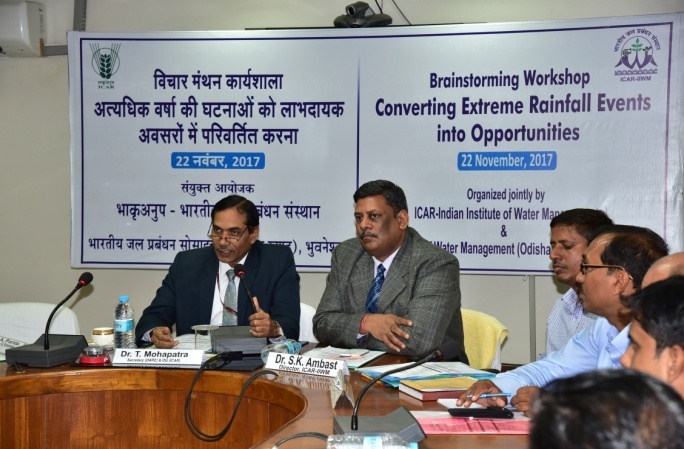 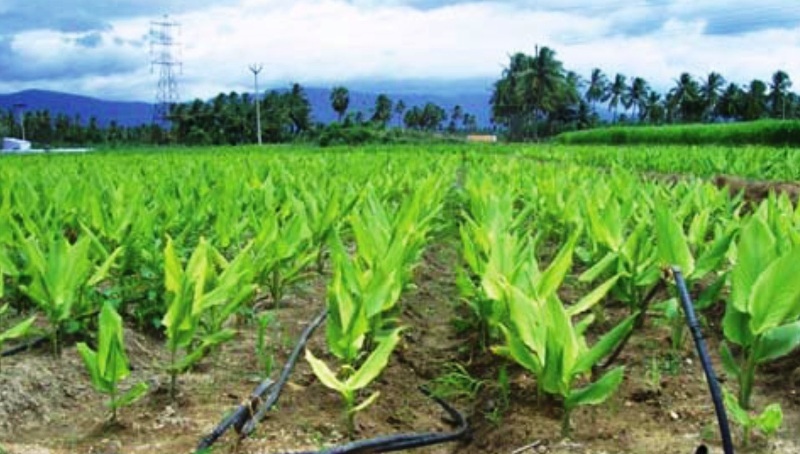 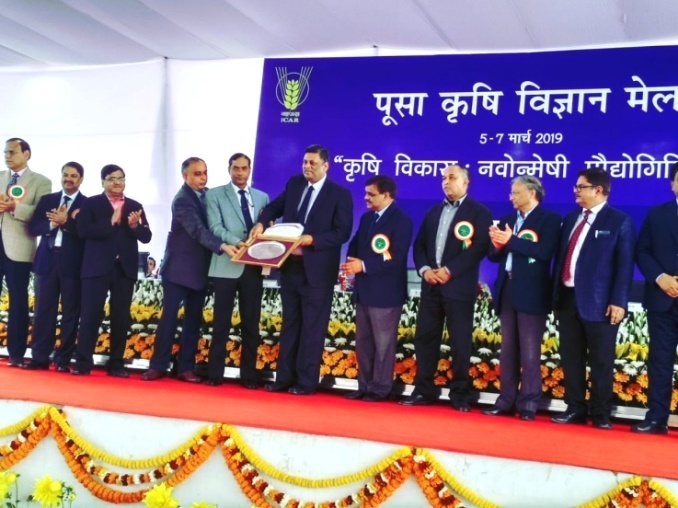 In his valedictory address, Dr Srivastava briefed about the country's problem and prospects of natural resources and urged participants to disseminate the water management technology at farm level to increase the farmer's income. 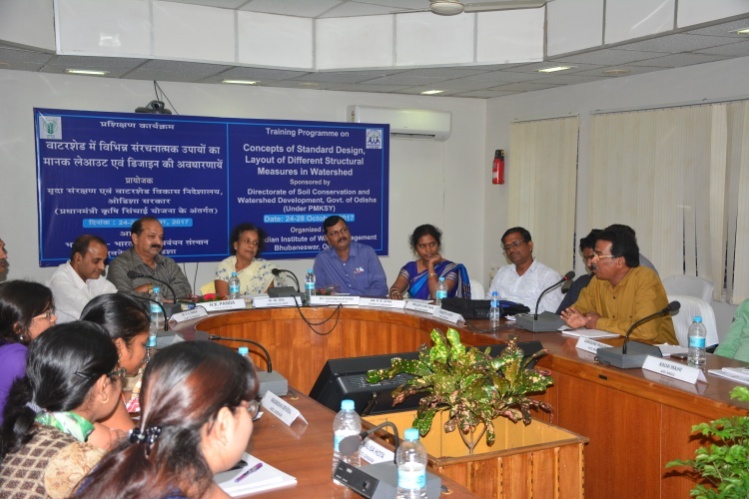 He also emphasized the role of self-help group and women for natural resources management and land use planning. 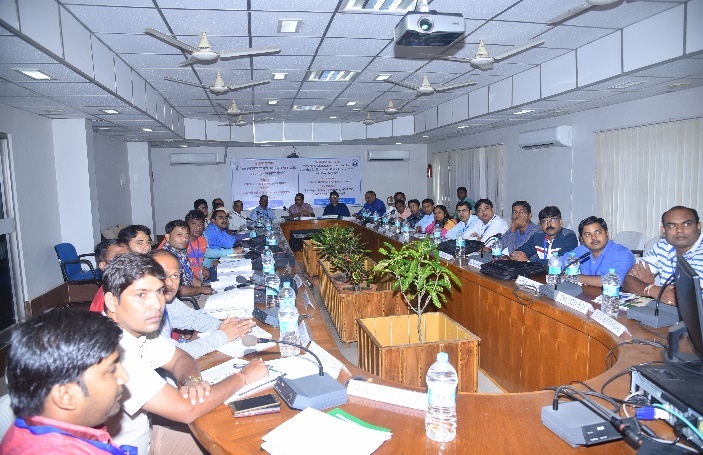 He expressed his happiness to listen the feedback from trainee officers and also appreciated the course content and structure of the course. 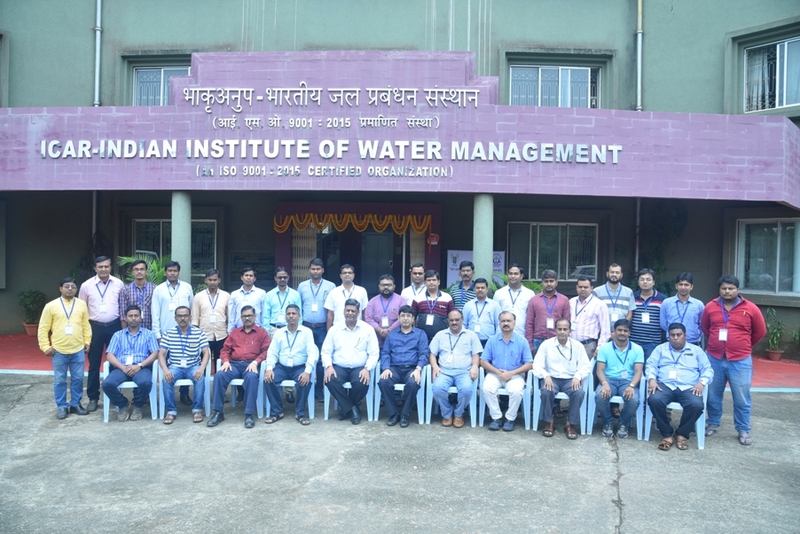 The second batch of the 6-day training programme on "Watershed management and land use planning" for 25 officials of different districts of West Bengal was successfully completed at ICAR-IIWM, Bhubaneswar during 6th August to 11th August, 2018. 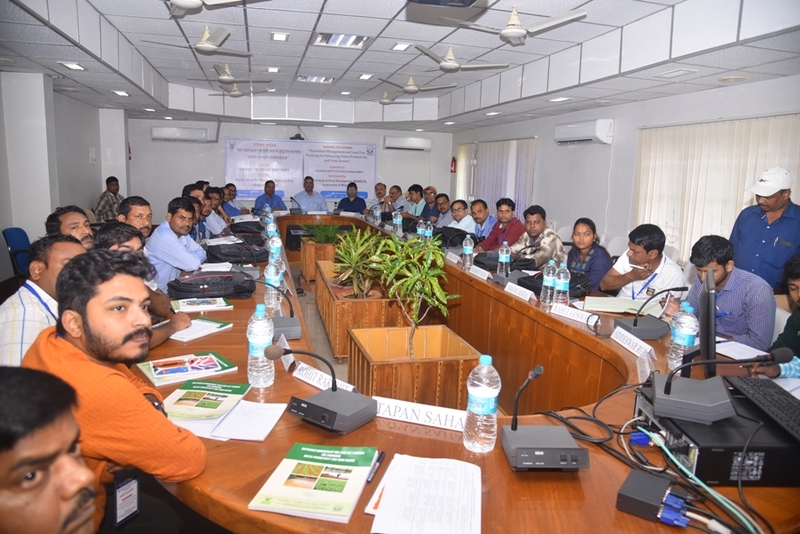 The Training was sponsored by Department of Panchayat and Rural development, Government of West Bengal. 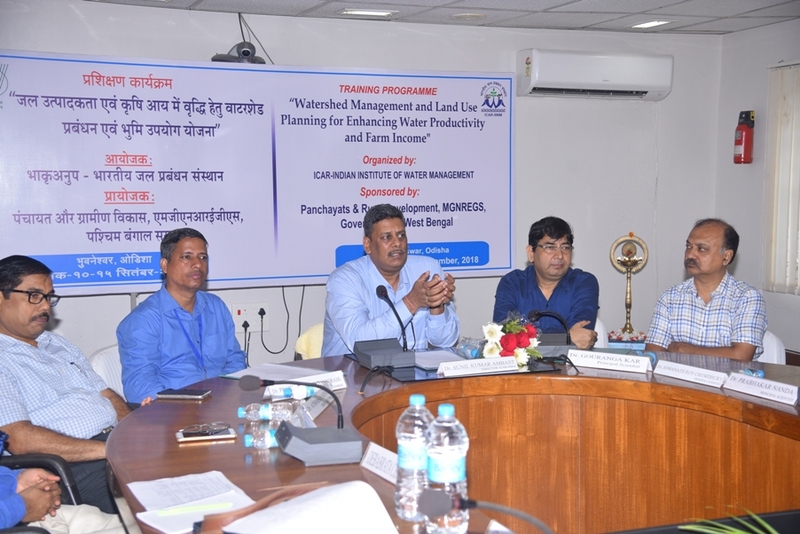 In the training vivid discussion was made on different aspects of soil and water conservation and management on watershed basis which includes watershed delineation, site selection and design of farm pond, check dam, dug well, contour bund, contour trenching, gully control structure, micro-catchment, use of software tool for computing water requirements, value addition by remote sensing and GIS for watershed management and land use planning, soil sustainability, farm mechanization, pond based farming, land shaping technique, community mobilization, impact assessment, costing and estimation of water harvesting structures etc, The team also visited Orilo watershed, Cuttack and horticultural plantation programme of ICAR-CHES and Puri project site and visualized the actual field implementation. 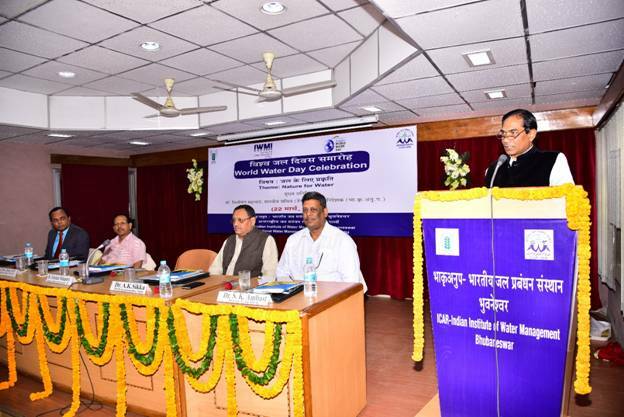 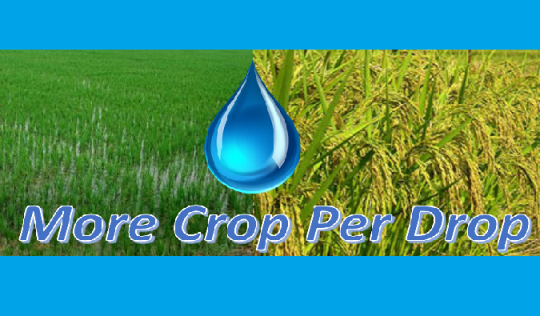 Dr. Trilochan Mohapatra, Hon'ble Secretary, Department of Agricultural Research and Education (DARE), Govt. 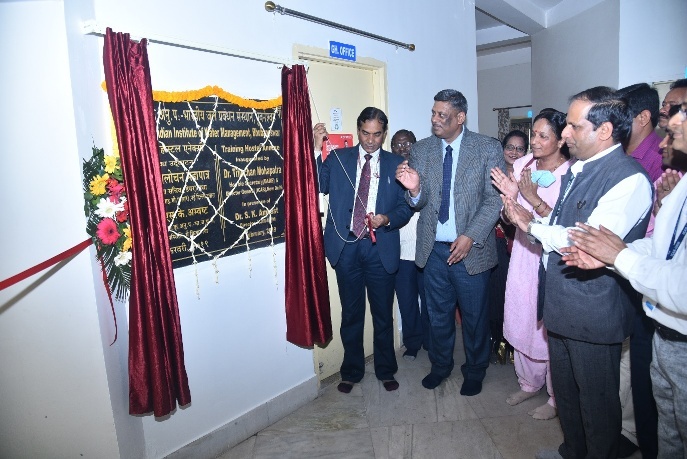 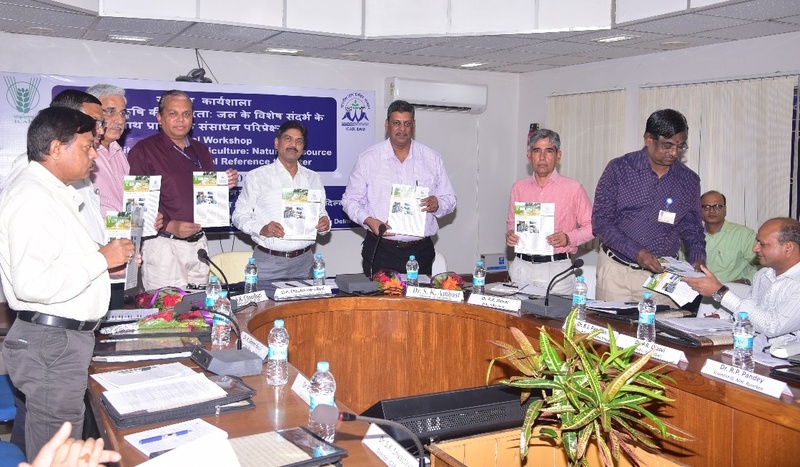 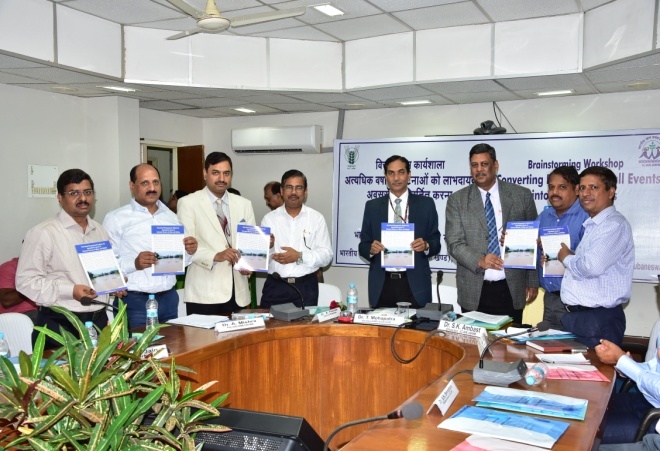 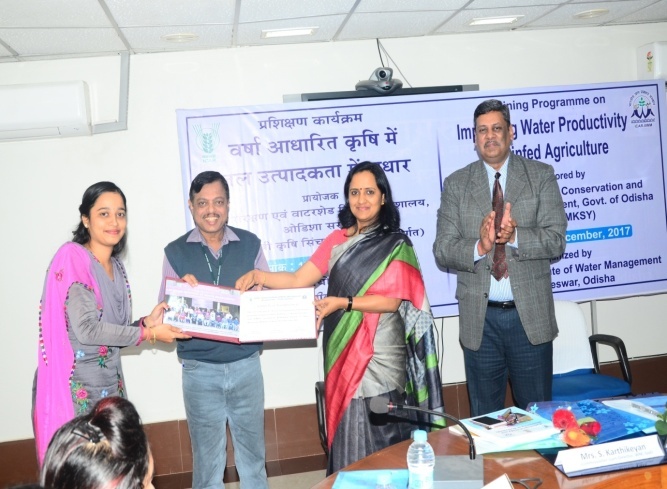 of India and Director General, ICAR, New Delhi was the chief guest in the valedictory function of the training programme and distributed certificates for participants. 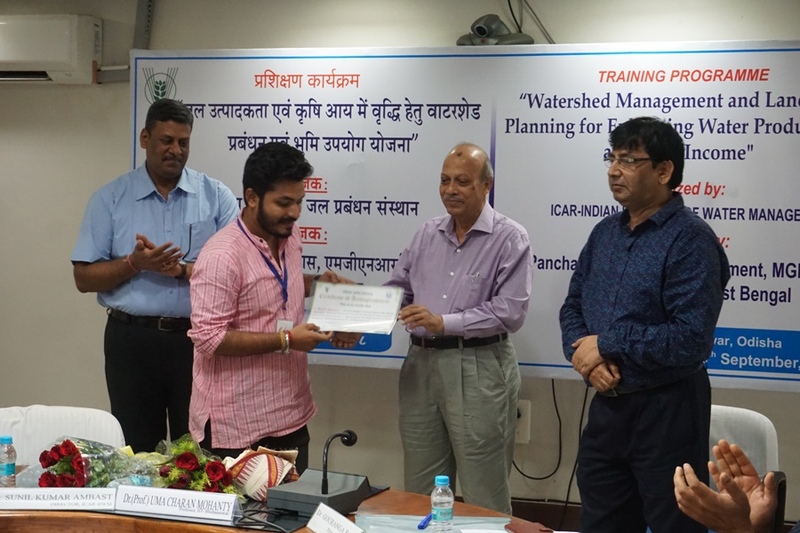 Besides, a best participant award was also given to a candidate based on the overall performance in a written test, class assignment and interaction with faculties. 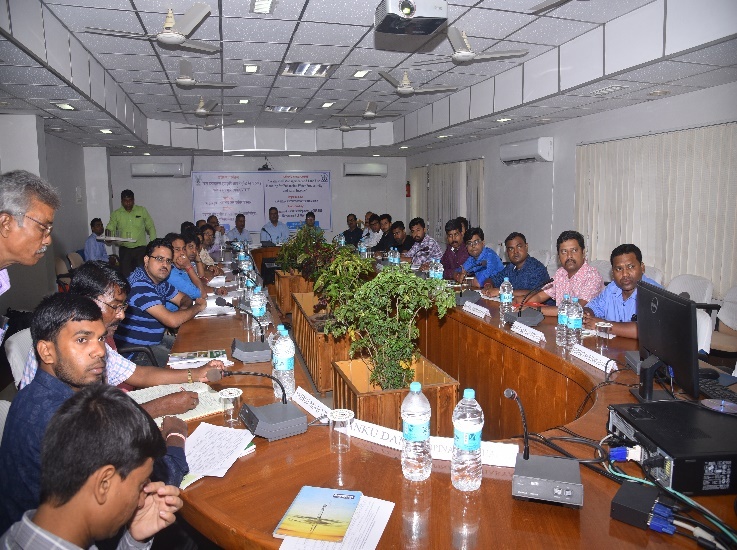 In his valedictory address, Dr Mohapatra urged the participants to apply the knowledge in the field to increase the farmer's income whatever they have gained during training programme. 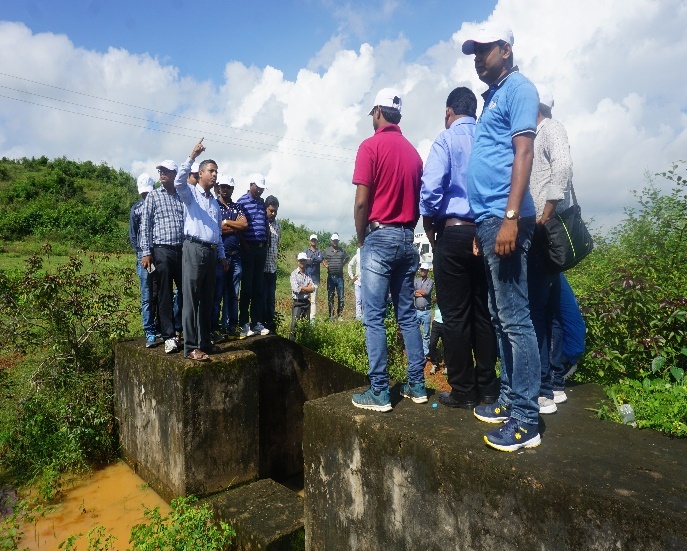 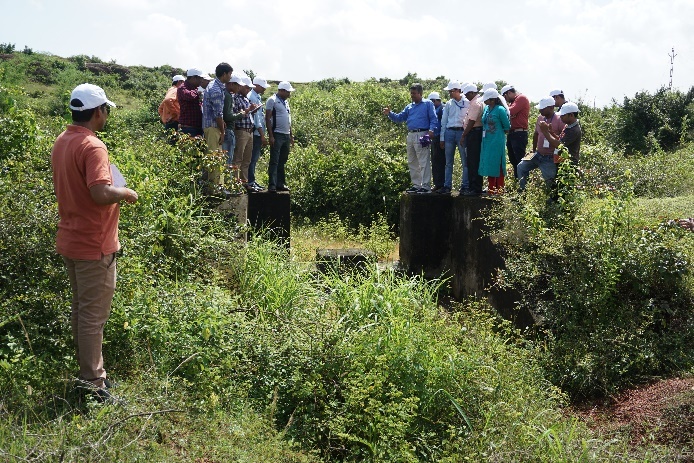 He also appreciated the course content and structure of the course which covers holistic approach of natural resources management on watershed basis. 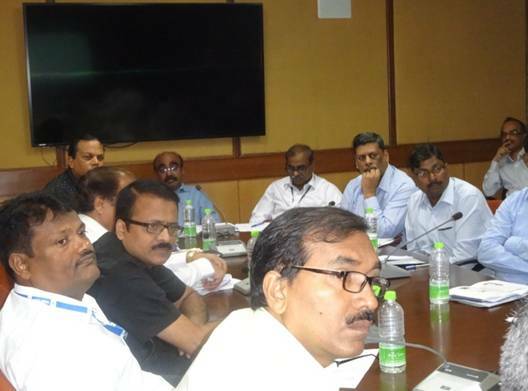 He stated that there is a scope to implement the technology through Governments' scheme like MGNREGS, PMKSY etc. 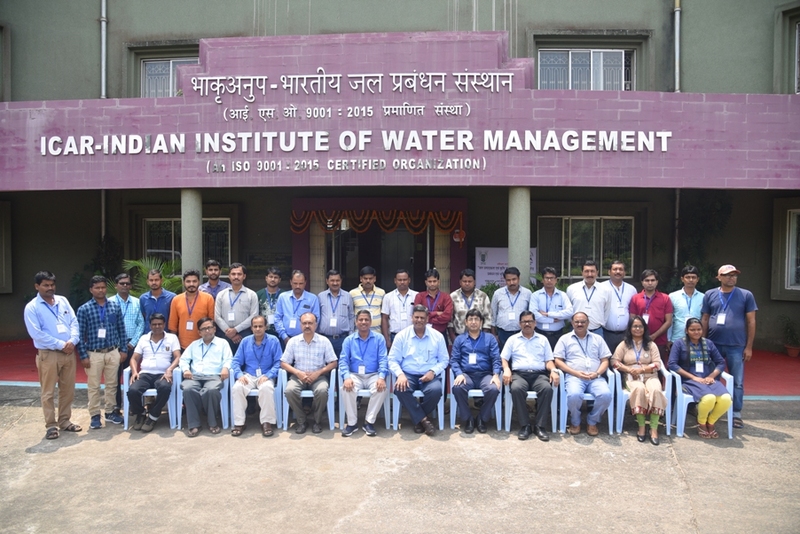 The first batch of the 6-day training programme on "Watershed management and land use planning" for 25 officials of different districts of West Bengal was successfully completed at ICAR-IIWM, Bhubaneswar during 23rd July to 28TH July, 2018. 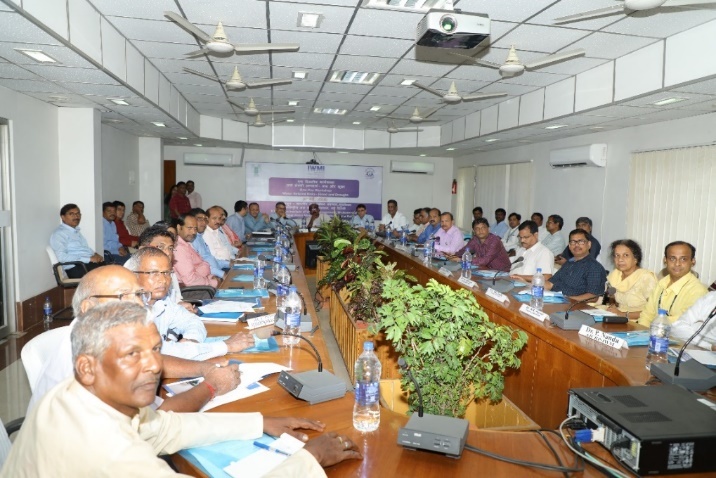 The Training was sponsored by Department of Panchayat and Rural development, Government of West Bengal. 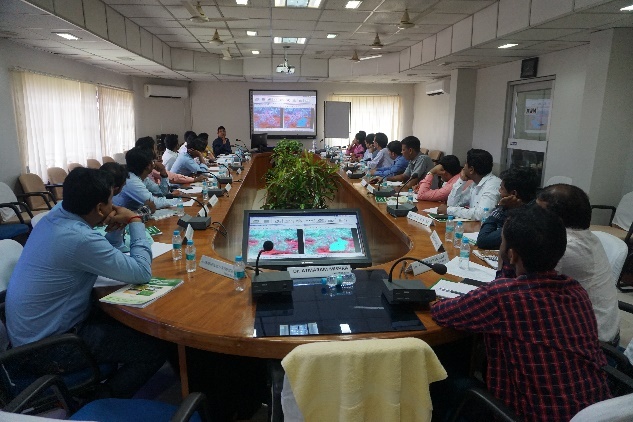 In the training vivid discussion was made on different aspects of soil and water conservation and management on watershed basis which includes watershed delineation, site selection and design of farm pond, check dam, dug well, contour bund, contour trenching, gully control structure, micro-catchment, use of software tool for computing water requirements, value addition by remote sensing and GIS for watershed management and land use planning, soil sustainability, farm mechanization, pond based farming, land shaping technique, community mobilization, impact assessment, costing and estimation of water harvesting structures etc, The team also visited Orilo watershed, Cuttack and horticultural plantation programme of ICAR-CHES and Puri project site and visualized the actual field implementation. 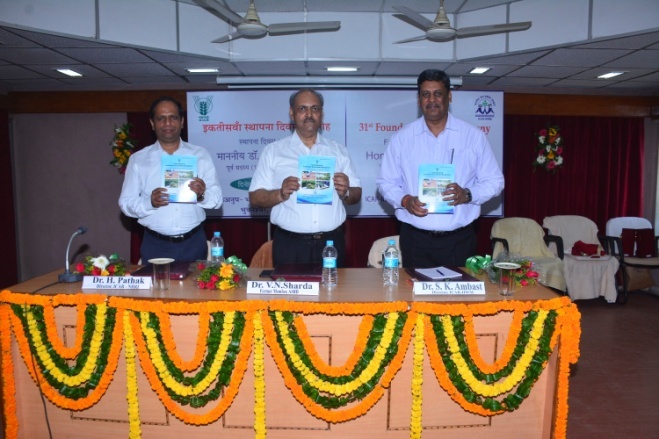 Dr. H.K.Panda. 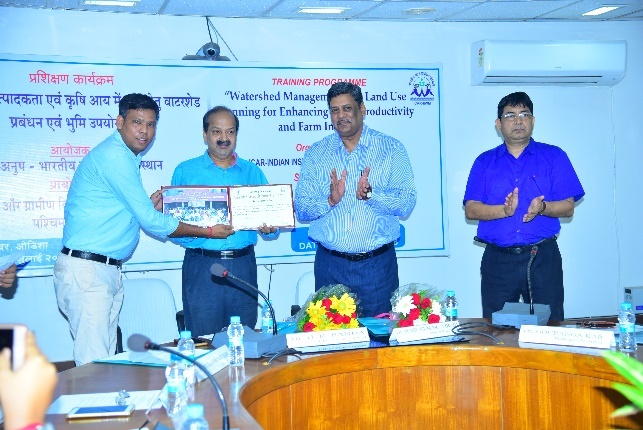 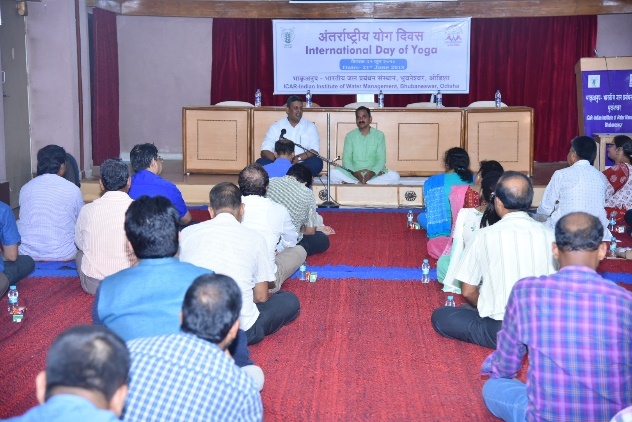 Director, Odisha Watershed Development Mission, Bhubaneswar was the chief guest in the valedictory function of the training programme and distributed certificates for participants of the training programme. 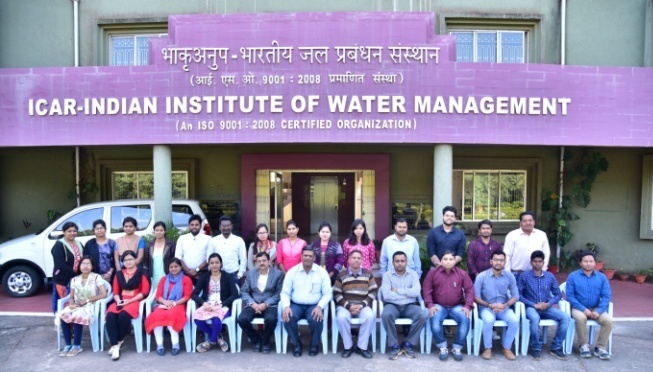 Besides, a best participant award was also given to a candidate based on the overall performance in a written test, class assignment and interaction with faculties. 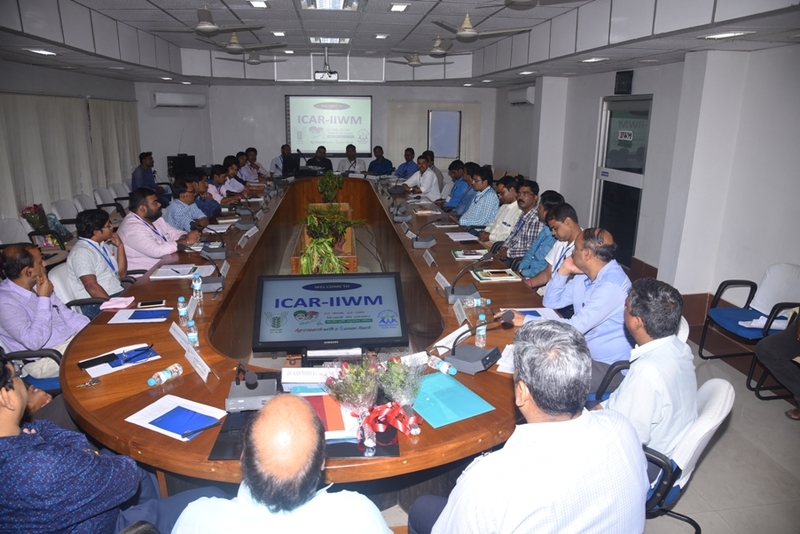 Dr S.K.Ambast, Director, ICAR-IIWM, Bhubaneswar was the course Director and Dr Gouranga Kar, Principal Scientist and Dr P.Panigrahi, Senior Scientist of the institute were the Course Coordinator.